Ontario Provincial Police say a man was struck and killed just east of Fergus Thursday evening. Police say the incident happened around 7 p.m. on Wellington Road 18 near Belwood Lake. 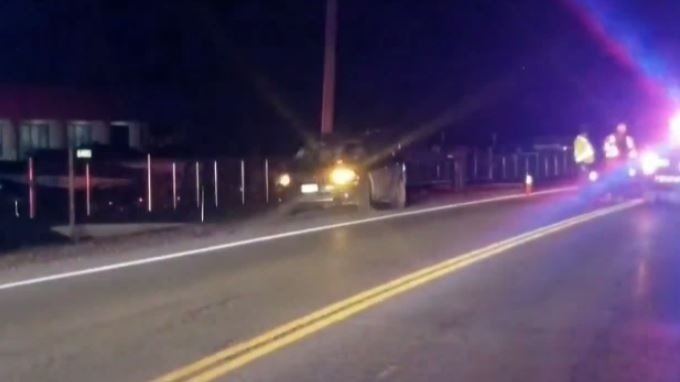 They say a 78-year-old Stoney Creek man had left his vehicle on the side of the road and was crossing the highway when he was hit by a passing vehicle. He was pronounced dead in hospital. Police did not release the man's name until his next of kin was notified. It was not clear whether charges would be laid. A 78-year-old man has died after being struck by a vehicle east of Fergus Thursday night.